Como Audio Musica. 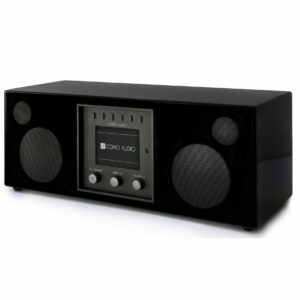 Bluetooth speaker, streaming and CD player. Como Audio Musica. Bluetooth speaker, streaming and CD player. 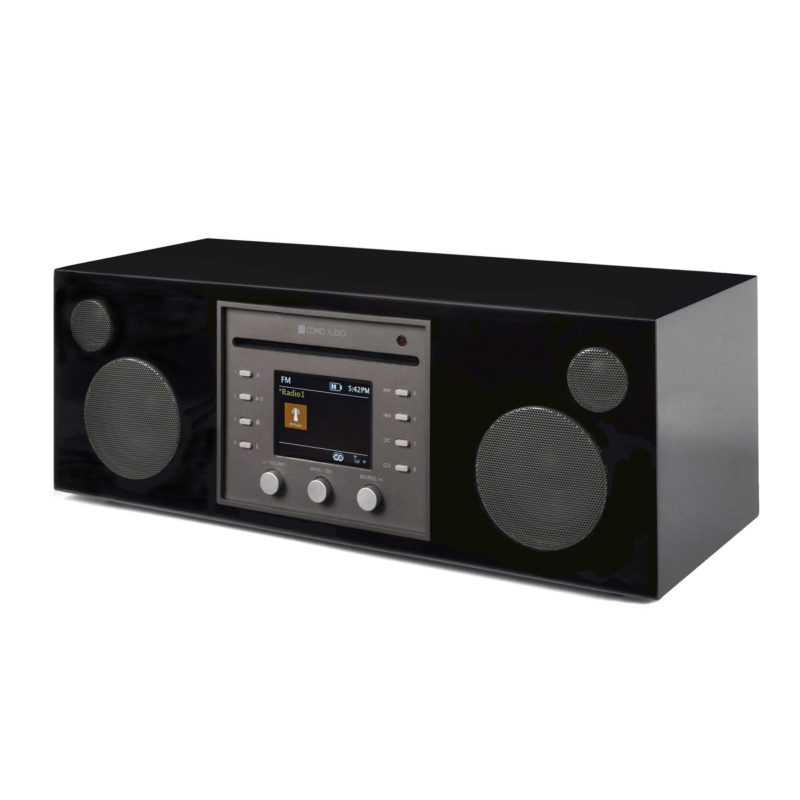 If you own CDs then you probably already own a CD player, but Musica is much more than just a CD player… It’s a smart music system. Como Audio Musica, Bluetooth speaker, streaming and CD player besides playing CDs, you can explore 30,000 Internet radio stations from around the globe, tune DAB/DAB+ stations (European version), stream wirelessly via Bluetooth with AAC and Qualcomm’s aptX for audio, charge your smart device from the USB jack, listen to sound from your TV using the optical input, connect analog audio equipment using the two auxiliary inputs, use the Ethernet input instead of WiFi, and use the included remote control or the free Como Control app for iOS and Android. 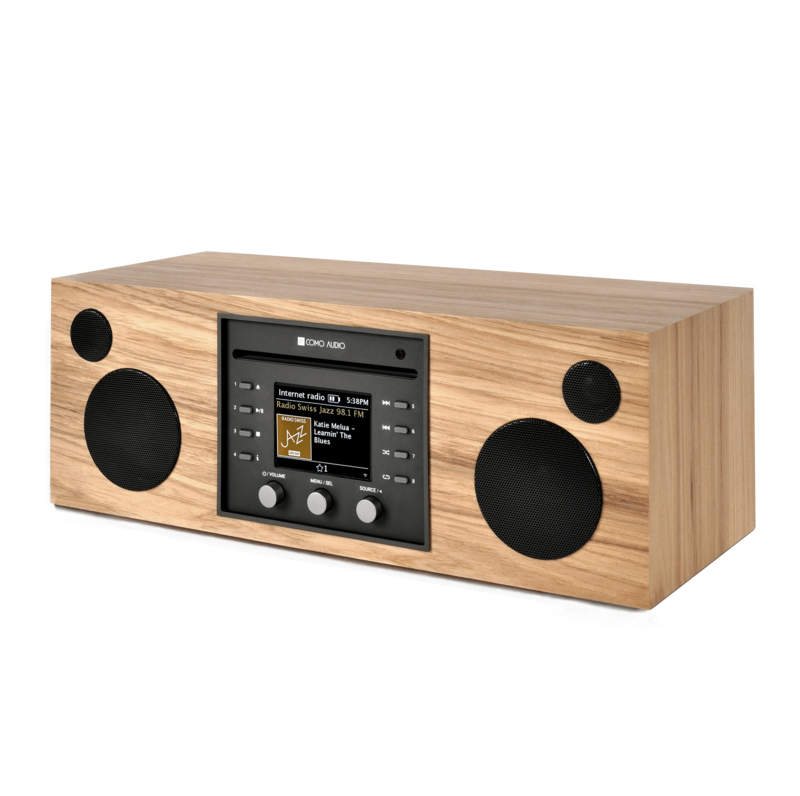 Como Audio Musica cd player’s 3.2” color display beautifully reproduces Internet and DAB station logos and album artwork. As if all of this weren’t enough, Como Audio Musica also integrates Spotify Connect, Tidal, Deezer, and Napster premium music streaming services, with Amazon Music to be added in the Fall of 2017. After the setup, listening to music is as simple as pressing one of the eight presets to turn Musica on and tune to that station or source. There’s even dual independent alarms, tone adjustments, and display brightness settings. 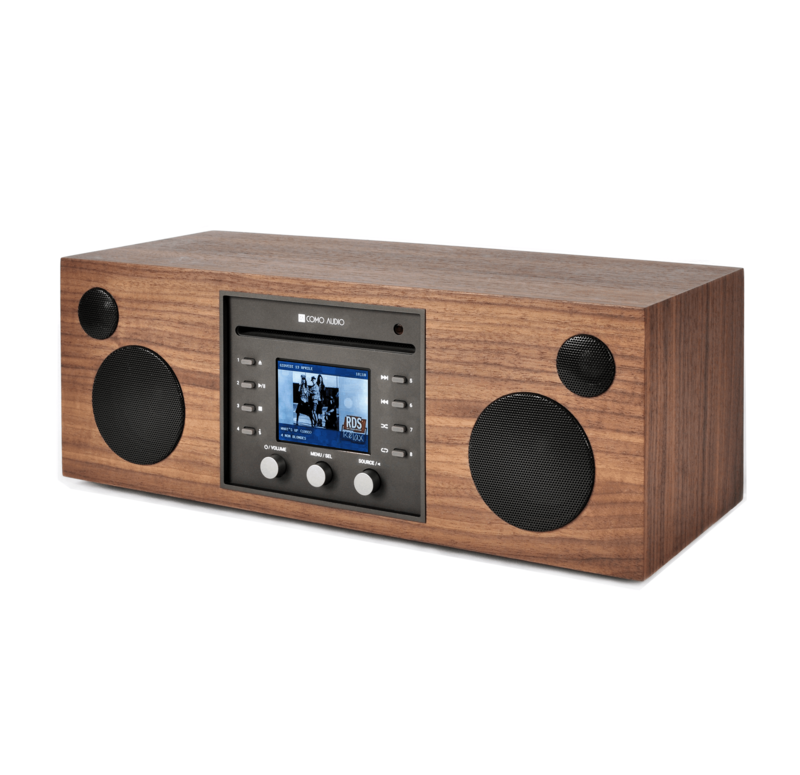 If you’re fortunate enough to own more than one Como Audio music system, you can multi-room a CD or one of Musica’s other sources to one or all of your other Como Audio units and fill your home with your favorite songs. Attractively housed in one of several different finishes, the rigid MDF cabinet also contributes to the high fidelity sound. 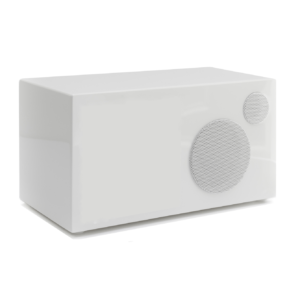 Unlike many products on the market today that blend traditional audio with new technology, Como Audio Musica bluetooth speaker does so with a classic styling and without added complication. “A” is for Apple and Android. Whichever you use, Como Audio has the App for you. The free Como Control App for iOS and Android converts your smart device into a wireless, touch screen controller for your Solo or Duetto. Let your fingers do the walking and access functions like power, volume, tuning, presets, sources, EQ, play/pause, view Internet station logos and Spotify album art, see meta data, and coordinate multi-room sound (if you have multiple models throughout your home). You can also set the time, activate the Sleep timer, and perform a Factory reset, all without having to use the controls on the unit. Control freaks, we have you covered. Tens of millions of compact discs continue to sell each year around the world. On top of that, many music enthusiasts still maintain CD collections, including music they’ve burned on recordable CDs. And with all the talk of “CD quality”, one way to easily achieve CD quality is with CDs. With all of this in mind, Como Audio’s Founding CEO, Tom DeVesto, developed Musica. The single CD slot-loading mechanism is built to rigorous automobile industry standards and plays CD, CD-R, and CD-RW discs. 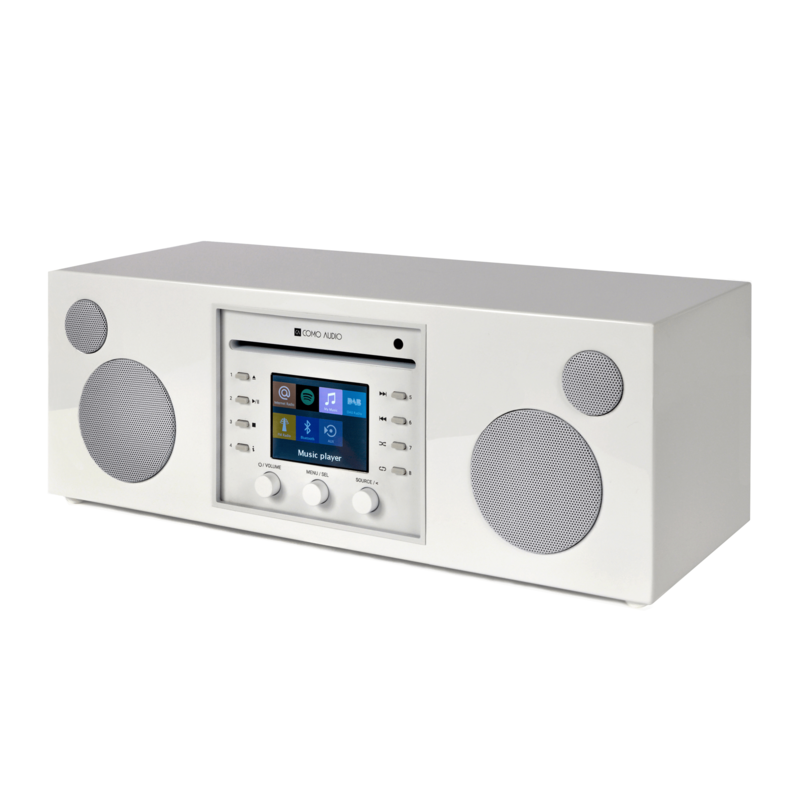 But Musica is more than just a Como Audio Duetto with an integrated CD player. Como Audio listened to feedback from our loyal customers and added an Ethernet connection, two additional Presets with direct Preset access from the remote control, aluminum knobs that extend an additional 4 mm for easier use, and three new integrated premium music streaming services in addition to Spotify Connect, with Amazon Music due in the Fall of 2017. 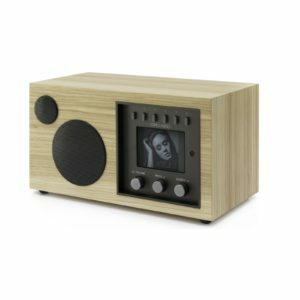 TFT color display (3.2″): Beautifully reproduces music service’s album art and station logos from Internet radio and DAB stations (EU model only). Also allows control without having to use the app or remote. Multi-room capable: Place Musica and other Como Audio music systems throughout your home and control them all with our app. Have up to 5 units per zone (# of zones depends on user’s WiFi network). Have them all play the same source or control them individually. NFC: Just touch your smart device to Musica to pair and connect – eliminates the need for traditional Bluetooth pairing and connecting (using compatible devices). Transducers: 2 x 19mm soft dome tweeters for extended high end response, and 2 x custom 3″ long-throw, 4-layer voice coil woofers with over-sized magnet results in exceptional bass.